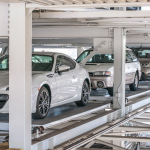 "With our Siemens partnership, we have adopted nearly every Siemens product line, from industrial automation to electrification to building automation and digitalization"
AUTOParkit, designed and manufactured by Dasher Lawless Automation, is a USA-based OEM of fully-automated parking systems. The company is providing a necessary parking alternative for commercial development, which is being severely impacted by changes in the automotive transportation industry and continued market pressure to reduce space allocated for parking. AUTOParkit has embraced Siemens technology in its growth model, realizing the benefits of an integrated portfolio, from power distribution and digital factory to building automation. AUTOParkit has calculated that with this technology, the fully-automated systems will achieve a 2:1 space savings at approximately the same cost as a conventional approach, as well as cost efficiencies in construction, and a 40 percent reduction in operational costs. AUTOParkit provides an 80 percent reduction in both energy consumption and carbon emissions and delivers an easy, safe and convenient user experience. It also captures an untapped source of data that links drivers with the fully-automated parking system, capable of connecting directly to their building automation systems. AUTOParkit is also using Tecnomatix Plant Simulation software from Siemens PLM. Plant Simulation is used for modeling, simulating, analyzing, visualizing and optimizing each parking system. Tecnomatix builds a virtual model to demonstrate the entire process. Each vehicle’s movement, simultaneous transfer and complete sequence of operations is created for design verification and performance calculations long before project construction. “With our Siemens partnership, we have adopted nearly every Siemens product line, from industrial automation to electrification to building automation and digitalization,” says Christopher Alan, President and Founder of AUTOParkit. “As we continue to chase an estimated $100 billion market, it is important that our systems offer seamless integration. The Siemens portfolio is helping us realize the pivotal role advanced automation and software will play in shaping the future of commercial development by addressing the megatrends that challenge our cities, including urbanization, population migration, changing vehicle transportation demands and increasing environmental regulations,” adds Alan. An AUTOParkit system is the integration of 12 subsystems, orchestrated together to park and retrieve vehicles. The system architecture is modular and scalable, so each site can be custom-fit with the proper amount of equipment to deliver peak-hour-demand. Siemens hardware is used throughout the system, including switchgear, breakers, disconnects, contactors, relays and power supplies for managing the electrical load. Siemens industrial automation hardware is used to move vehicles vertically, horizontally and in some cases rotationally. Siemens automation components include Simatic programmable logic controllers (PLCs), Simatic human machine interface (HMI) panels, Simatic variable frequency drives (VFDs), safety PLCs, Safety I/O, wired switches, Profinet networking cabling, Scalance wireless, RFID and SCADA software. In addition to the long list of benefits of the Siemens automation platform, the regenerative braking of the VFDs feed power back into the line, thereby reducing operating costs. 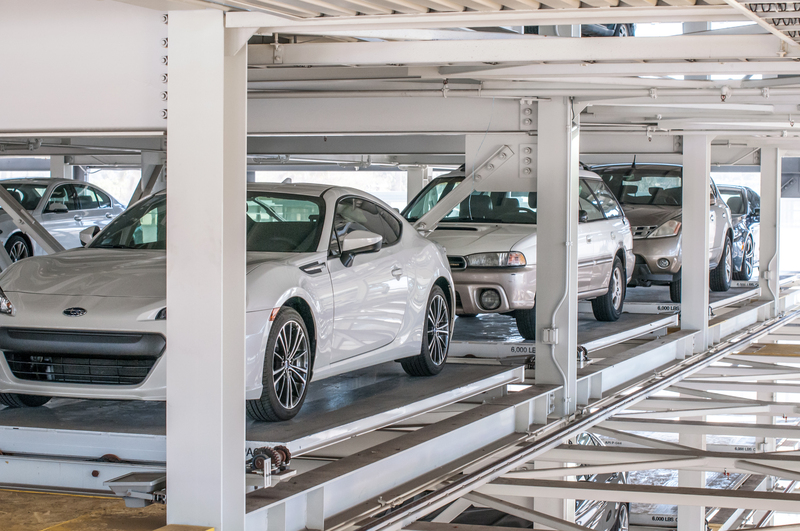 “We are proud of our partnership with AUTOParkit, and this is an excellent example of adapting industrial automation to solve a complex commercial need,” says Raj Batra, President, Siemens Digital Factory Division, U.S. “This is a best practice example of how advanced automation and digitalization will be a disruptor in our society, and AUTOParkit is a true innovator in how they challenge the market and existing trends,” adds Batra. AUTOParkit is in final construction of a 282-stall, two-level, subterranean parking garage at INclave, a new live-work-play development in Marina del Rey, California. The AUTOParkit System will allow residents to park and retrieve automobiles with the additional flexibility to store bicycles, motorcycles, watersports equipment or even personal storage units. The garage will also feature 19 automated electric vehicle charging stations. By the time the INclave development is completed, expected by early 2019, AUTOParkit will have 4 more developments under construction.